WASHINGTON (Reuters) – Nearly a dozen U.S. 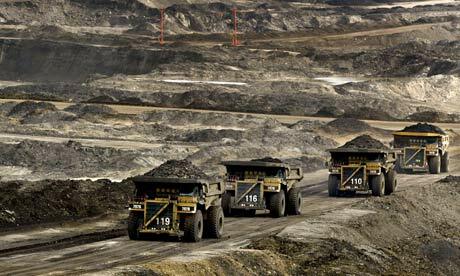 Senators on Friday raised questions about the need for a proposed $7 billion pipeline that they said will bring “dirty oil” from Canadian oil sands to U.S. refineries and significantly increase the country’s reliance on fossil fuels. Both the UK and the US have statutes entitled: ‘Trading with the Enemy Act’. The UK’s was passed in 1939 and the US’s in 1917. Royal Dutch Shell’s army of attorney’s have obviously found loop holes in these and other statutes that allow Shell to continue to trade with Iran. That trade is of far greater value to Iran than it is to Shell, for it gives Iran the means to continue with their weapons development programs. Perhaps it is time for the UK Parliament and US Congress to plug some of those loop holes to prevent the kind of conduct Royal Dutch Shell finds so profitable. By Bill Campbell, Retired HSE Group Auditor, Royal Dutch Shell. 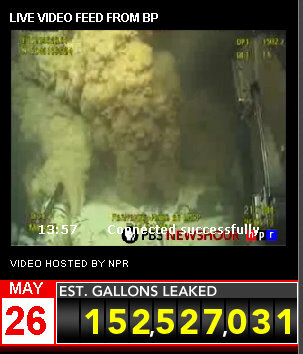 Only minutes before the blowout on Deepwater Horizon on 20th April everything was reported as being in order. The negative pressure test of the integrity of the well had been good and the displacement of seawater after this test was going fine. Shell nearly doubled earnings in the last three months thanks to higher oil prices and production as new ventures came on stream. Excluding write-offs made for accounting purposes, its earnings were $4.9bn (£3.1bn) for the three months to September, compared with $2.6bn the previous year. A version of this article appeared in print on October 29, 2010, on page A20 of the New York edition. Halliburton is back in the spotlight, and once again, in an uncomfortable way. In recent years, the giant energy services company has found itself under scrutiny over allegations that it performed shoddy, overpriced work for the United States military in Iraq, bribed Nigerian officials to win energy contracts and did brisk business with Iran at time when it faced sanctions. LONDON (Dow Jones)–Royal Dutch Shell PLC (RDSB.LN) Thursday beat analysts’ forecasts to post an 88.4% rise in adjusted profit for the third quarter, driven by higher output and greater demand for refined products and chemicals. The results show how the company is reaping the rewards of a lengthy restructuring focused on cost efficiency and recovering industrial demand, primarily in Asia. LONDON, Oct. 28 (UPI) — Royal Dutch Shell is still dealing with Iranian crude oil shipments under current contracts, the company’s chief financial officer said Thursday. Simon Henry, Shell’s top financial official, said his company was still taking delivery of Iranian crude oil under the terms of its existing contracts with the Islamic republic. (Reuters) – Royal Dutch Shell Plc (RDSa.L) said it would assess any impact of European sanctions on its oil trade with Iran and had stopped some activities there following tougher U.S. measures earlier this year. The European Union sanctions over Iran’s nuclear work, launched in July and which became law this week, seek to block oil and gas investment in the Islamic Republic, the world’s fifth largest oil exporter. Royal Dutch Shell Plc, Europes largest oil company, warned that the knock-on effects of the temporary ban on new deep-water drilling in the Gulf of Mexico could last for the next two years. Royal Dutch Shell Plc, Europes largest oil company, posted a 7 percent increase in third- quarter profit as a recovery in energy demand lifted oil prices. Net income rose to $3.46 billion from $3.25 billion a year earlier, The Hague-based Shell said in a statement today. Excluding one-time items and inventory changes, profit beat analyst estimates. LONDONRoyal Dutch Shell PLC on Thursday posted a 6.5% rise in third-quarter net profit, helped by higher oil and gas prices, higher output and greater cost efficiency. Basically it seems that there was a queue of Shell directors waiting to enter his office every 30 minutes ready and eager to knife him. He resigned as a result of the cumulative assault, shocked, humiliated and disgusted at the shabby inhuman treatment he received from his colleagues. It is pointless to speculate what the US government may be up to in this case, but they have confirmed that Shell, et al, were/are under investigation for conspiracy to commit espionage. In that regard I would make the observation that while the wheels of justice often turn slowly, they do turn, and in cases like this they usually, and inevitably, grind the offenders into the dust.